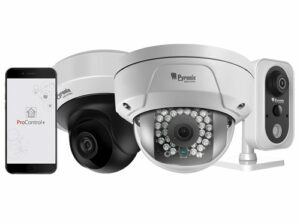 Pyronix has launched a new app alongside the release of a new range of plug and play Full-HD, Wi-Fi surveillance cameras. The ProControl+ App and range of Wi-Fi cameras are designed to support intruder alarm installers advance into new market applications and increase their turnover. 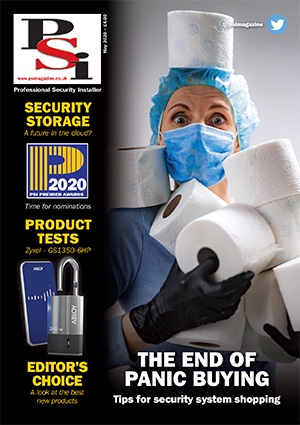 Bringing together intruder and video in one app enables installers to offer a total integrated solution, which is reported to be simple to install and set-up, and brings HD video system solutions to the intruder detection market. “ProControl+ and the new range of Pyronix Full-HD Wi-Fi cameras offer installers new and exciting upsell opportunities and greater choice to support customer requirements,” Laurence Kenny, Pyronix Marketing Manager said. Providing a stepping stone to live video alarm verification, with remote video surveillance monitoring and video recording on a local SD-card, the new Wi-Fi cameras offer a choice of indoor and outdoor models that can be connected either via Wi-Fi or Ethernet. ProControl+ marks the evolution of Pyronix’ smartphone app portfolio; expanding on the features and functionality of the company’s first app, HomeControl+, which continues to be available. The Wi-Fi camera range includes an outdoor mini dome camera and an indoor cube camera that are available in several fixed lens options, and an indoor PT (Pan/Tilt) dome camera. All can be powered via DC12V or PoE.